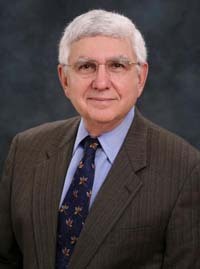 The Division of Endocrinology (Internal Medicine) is led by Dr. Ronald Swerdloff, an internationally renowned figure in the field of male reproductive biology. The Division of Endocrinology (Pediatrics) is led by Dr. Jennifer Yee, an expert in pediatric obesity and type 2 diabetes. The volume of patients seen, the broad spectrum of pathology and the quality of the teaching staff provide a unique opportunity for first hand exposure to both common endocrine disorders, as well as rare entities not commonly seen in other settings. The Divisions of Endocrinology and Metabolism of the Harbor UCLA Medical Center and the City of Hope offer two different postdoctoral training programs. The 5-year PhD program for MDs (academic track) is designed for the MDs who intend to pursue a research career in academics or industry. This PhD program consists of intensive 2-year clinical endocrinology training leading to eligibility for the board examination in Endocrinology and Metabolism in either Medicine or Pediatrics overlapping with intensive 3-year basic science training leading to eligibility for receiving a PhD degree from the Beckman Research Institute at City of Hope. The 2 year clinical program for MDs (Clinical track) is designed for MDs who plan to concentrate their efforts in the practice of Endocrinology and Internal Medicine. The Core Clinical Curriculum is similar for all fellows. Fellows are assigned to either Harbor UCLA Medical Center or City of Hope where they will receive the majority of their training. All fellows will be assigned clinical rotations at both institutions. The Division of Endocrinology at Harbor-UCLA is part of the Los Angeles Biomedical Research Institute (LA BioMed). LA Biomed, is the South Bay’s premier biomedical research and education institute and is a non-profit medical research institute affiliated with Harbor-UCLA Medical Center and the UCLA School of Medicine. It manages more than 500 medical research and education grants and contracts. Harbor-UCLA LABioMed is recognized internationally as one of the leading independent medical research and education organizations not only in Southern California, but in the nation. The Harbor-UCLA Medical Center is a Los Angeles County facility with over 300 active beds. There is an active Endocrine consult service with the opportunity to see and learn to diagnose and manage all categories of endocrine disease. The divisions provide services through ambulatory Diabetes, Endocrine, Thyroid, Pituitary, and Andrology clinics. The facility provides state of the art diagnostic and therapeutic capabilities. It is one of the major teaching hospitals of the David Geffen School of Medicine at UCLA. The Divisions are staffed by 8 full-time clinical faculty, six non clinical faculty and a number of volunteer clinical faculty that help with their expertise in the ambulatory setting. Endocrinology Fellows are primarily assigned to either the Harbor UCLA Medical Center site or the City of Hope site where they will receive the majority of their training. Trainees rotate at both institutions. Faculty laboratories and offices are housed in a modern 20,000 square feet building designed specifically to meet the research needs of the investigators. Common resources include tissue culture facilities, a stable isotope facility, a sperm function laboratory, molecular biology facilities, morphology facilities (including electron and confocal microscopy, and a PALM micro-dissection system), an animal surgical suite. The Division of Endocrinology at Harbor-UCLA provides a very active clinical and basic research environment with four major focus groups. The Reproductive Biology Group areas of interest include reproductive endocrinology, including hormonal control of testicular cell cycle events, control of germ cell apoptosis, genetic control of meiosis initiation, ethnic differences in androgen metabolism, male contraceptive development, new methods of androgen delivery, androgen receptor physiology, CNS dysfunction in Klinefelter’s Syndrome, and reproductive dysfunction with aging; The Intermediary Metabolism/Diabetes Group focuses on stable isotopic assessments of glucose, amino acid, fatty acid and androgen metabolism; regulation of insulin release in vitro; childhood obesity and development of new techniques for diagnosis of hypoglycemic states. A third group focuses on Thyroid Cancer, Autoimmune Thyroid Disease and the mechanisms of Graves’ ophthalmopathy. A fourth group focuses on the study of Sleep/Endocrinology. A detailed description of each investigator’s interests is provided at our Faculty’s site.